These 8 ½ X 11 inch see-through stockpages have 3 crystal clear pockets for visibility from both sides. 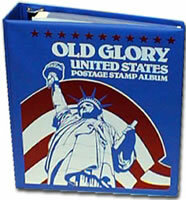 They are free of chemical softeners, providing safe storage and display of your collectible stamps. Fits most standard 3-ring or European 4-ring binders. Contains 5 per package.